Widely considered to be among the greatest trios in jazz (ever! 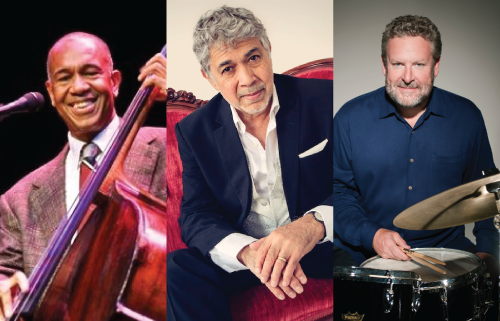 ), Monty Alexander (piano), John Clayton (bass), and Jeff Hamilton (drums) have delivered the most tastefully elegant, swinging, and soul-stirring jazz for 40 years, album after album, festival after festival, Grammy® after Grammy®. Playing together…and with other groups…these three dynamos have delighted Vail audiences for many years. Together, they deftly maneuver among swinging old favorites, creative new delights, Jamaican-inflected hymns & marches, and gorgeous ballads. Monty, John and Jeff make all their deliveries by First Class! For a special treat, focus on the way these three pros communicate with one another while playing. This is how jazz is done!